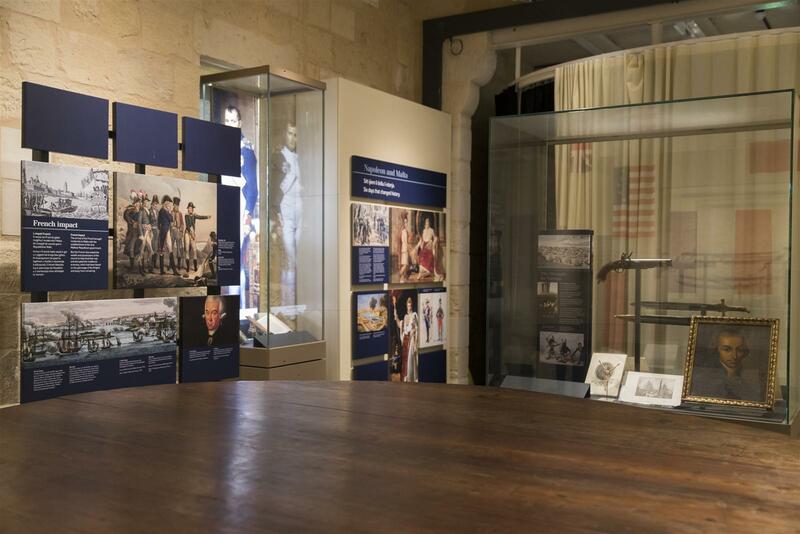 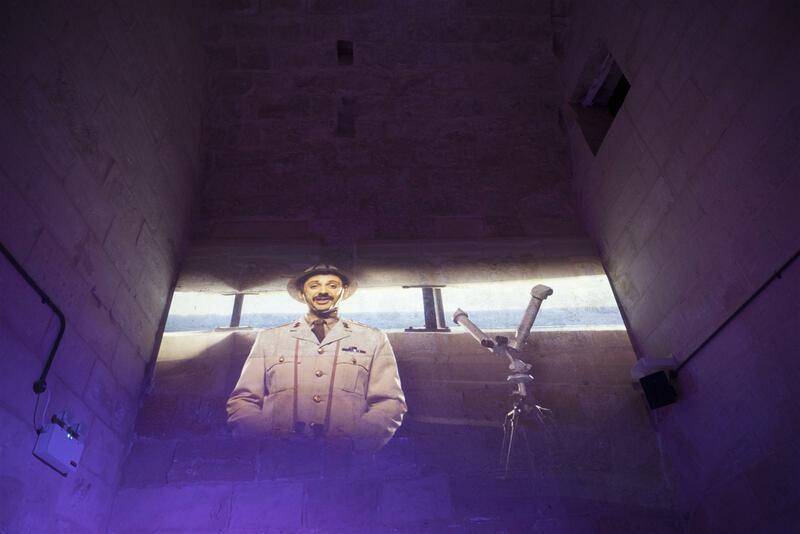 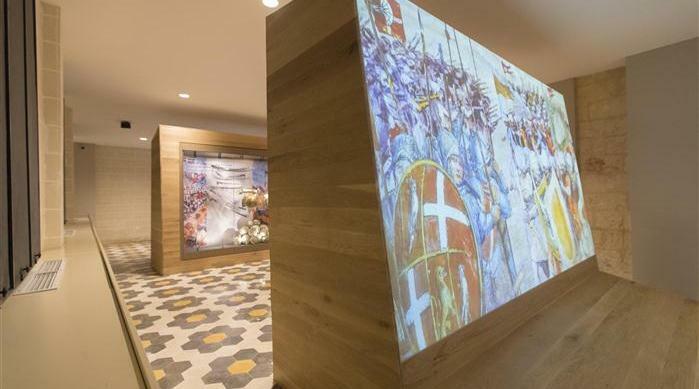 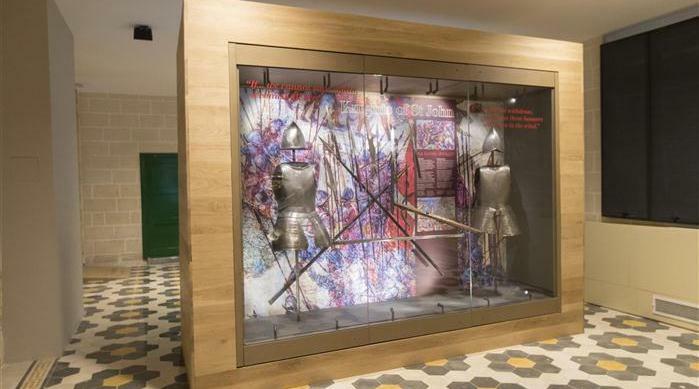 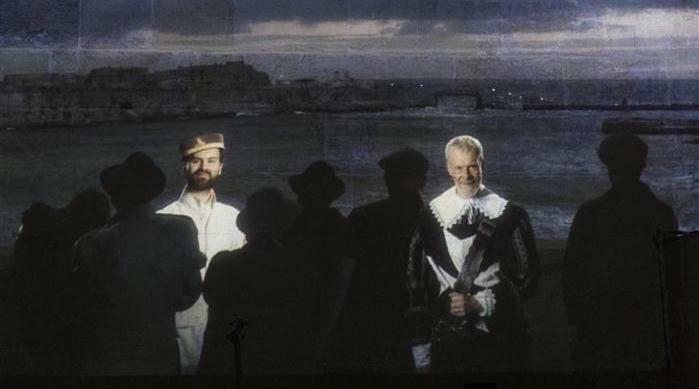 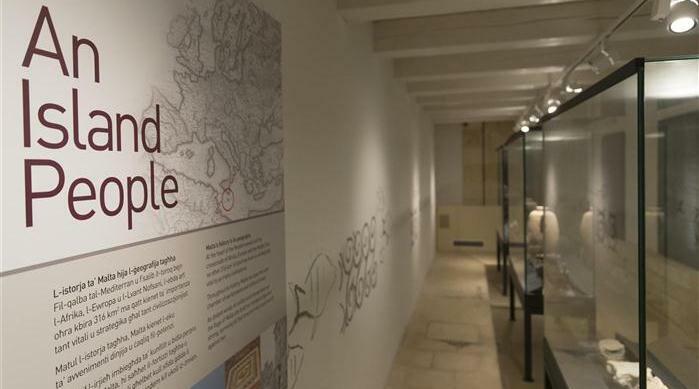 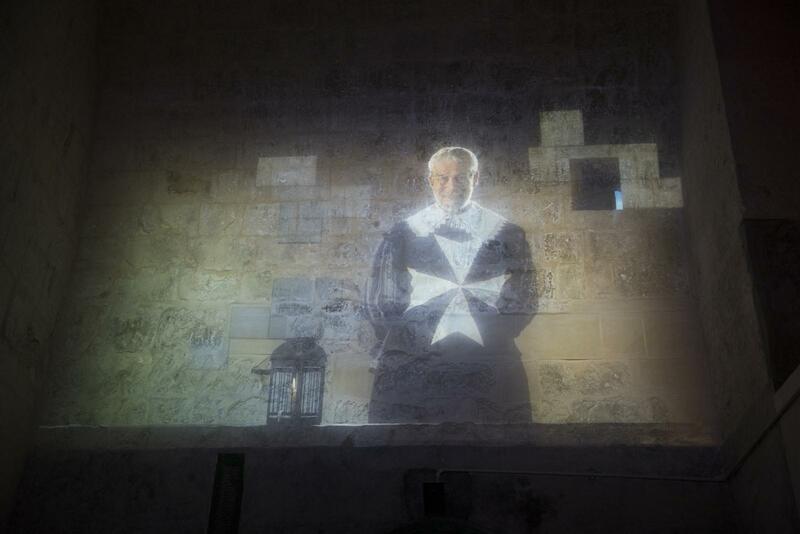 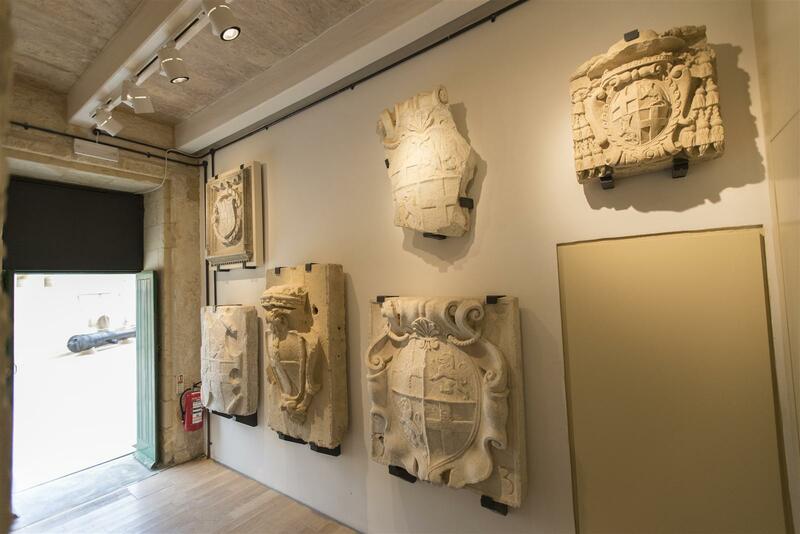 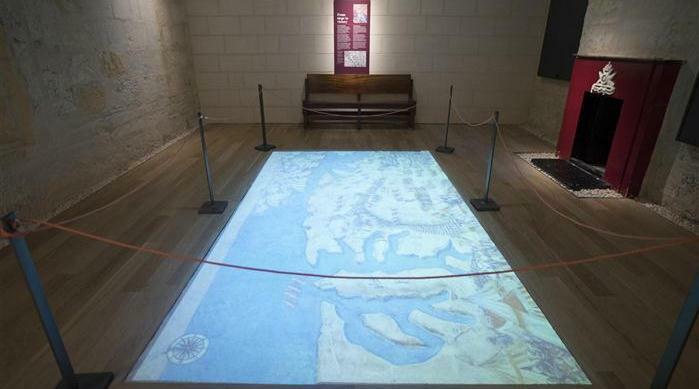 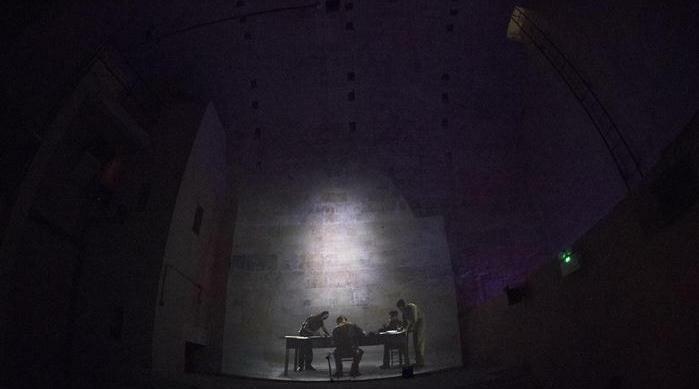 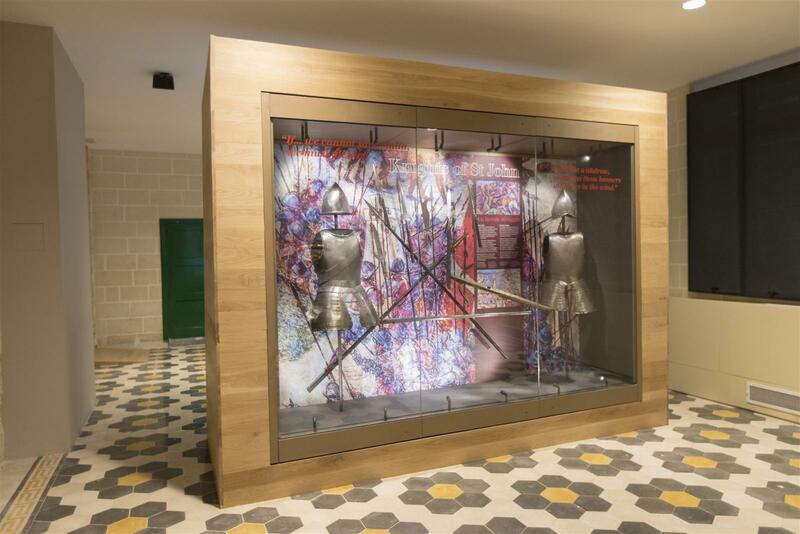 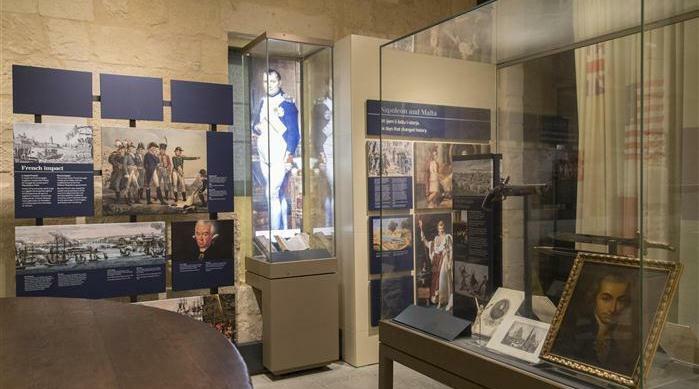 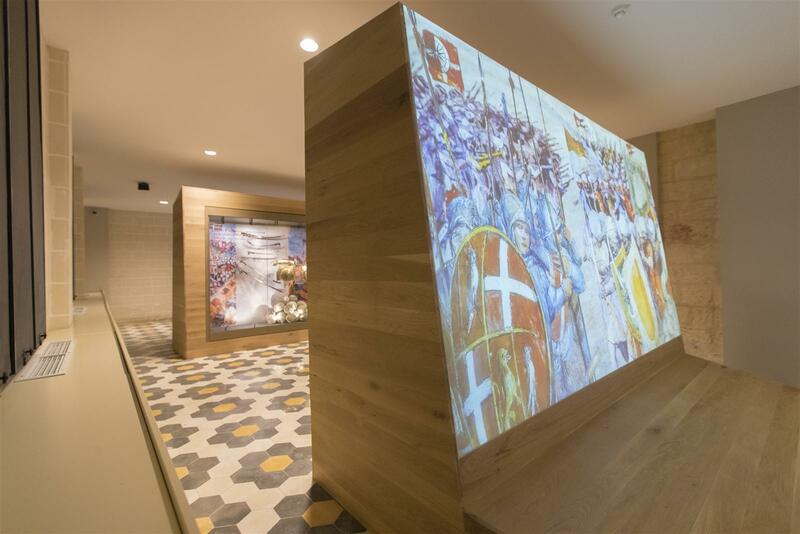 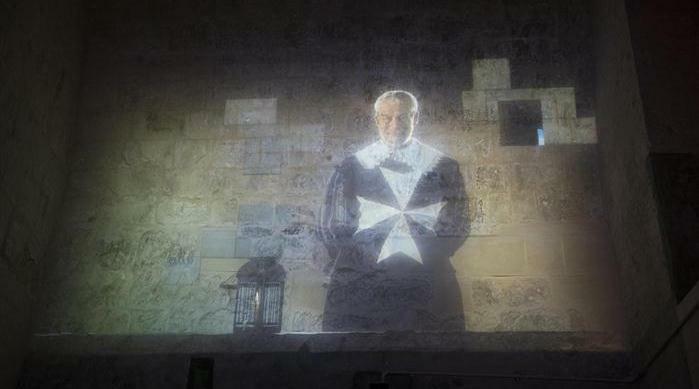 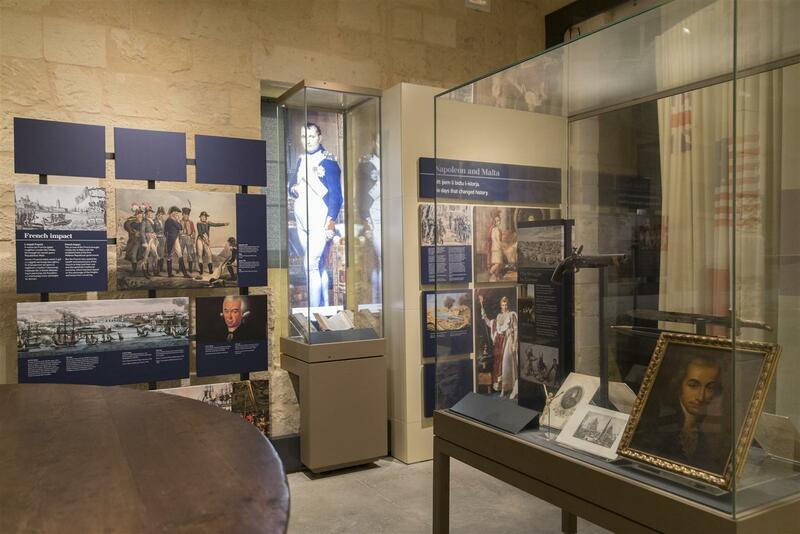 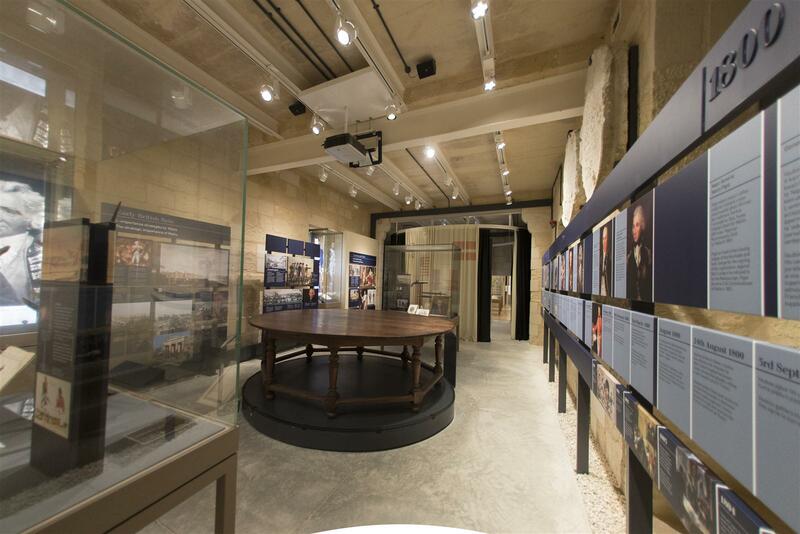 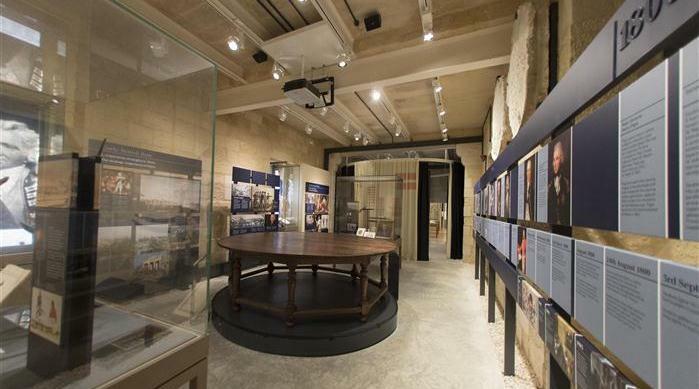 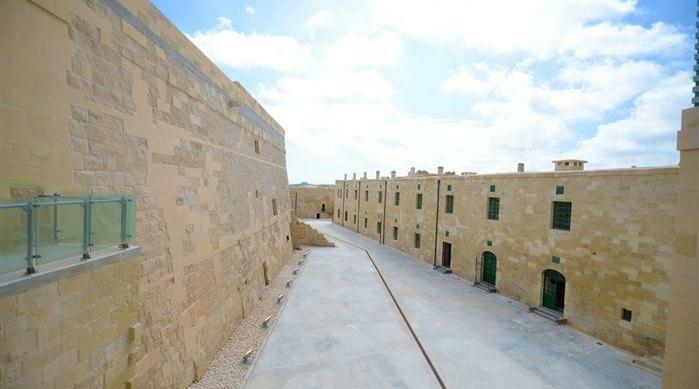 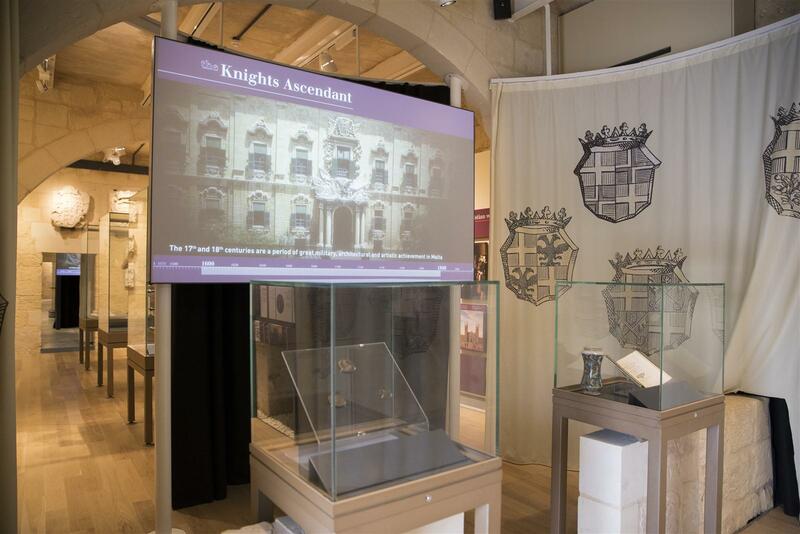 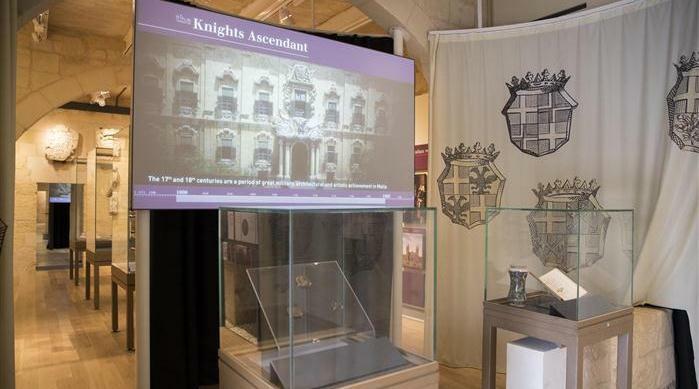 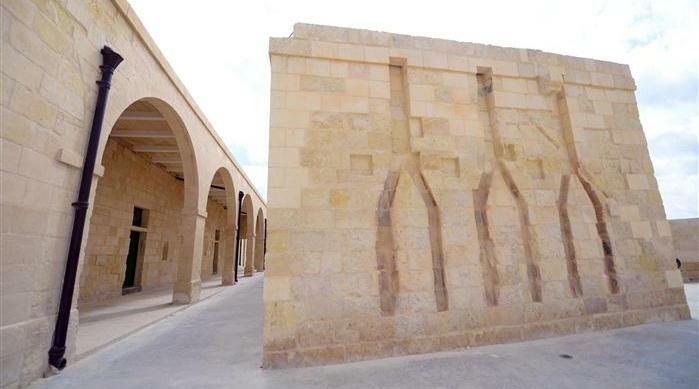 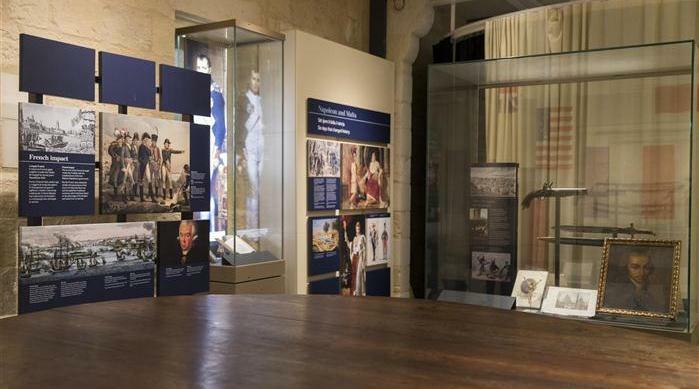 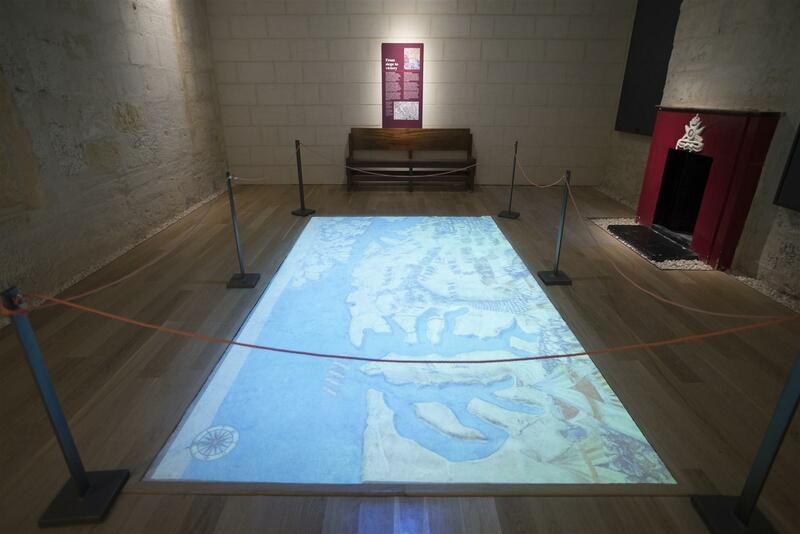 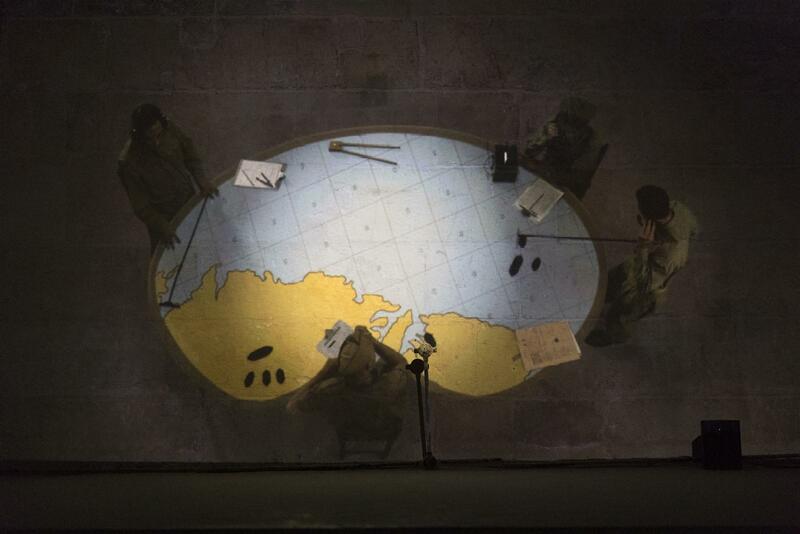 The project entailed the embellishment of Fort St. Elmo Heritage including (i) a Military History Museum (including the current national Museum) and Story of Valletta (ii) a rampart walk along Caraffa Enceinte. 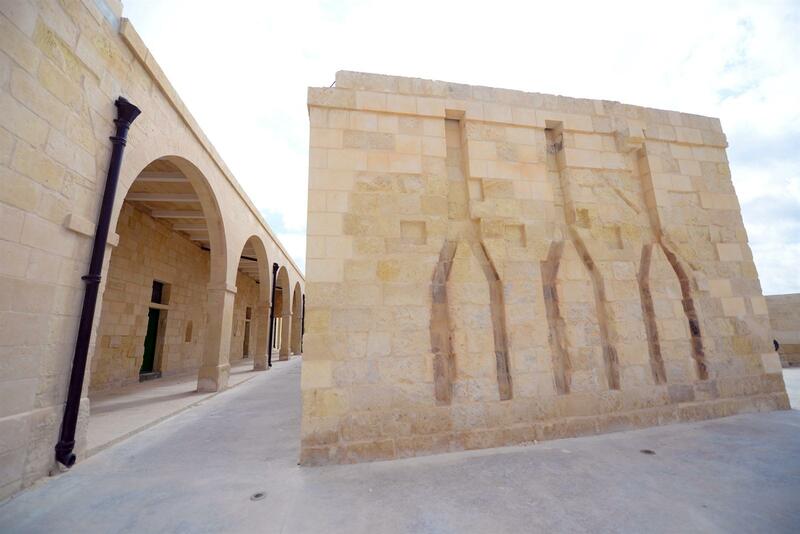 Other facilities related to tourism, leisure, education and the application of heritage have also been provided. 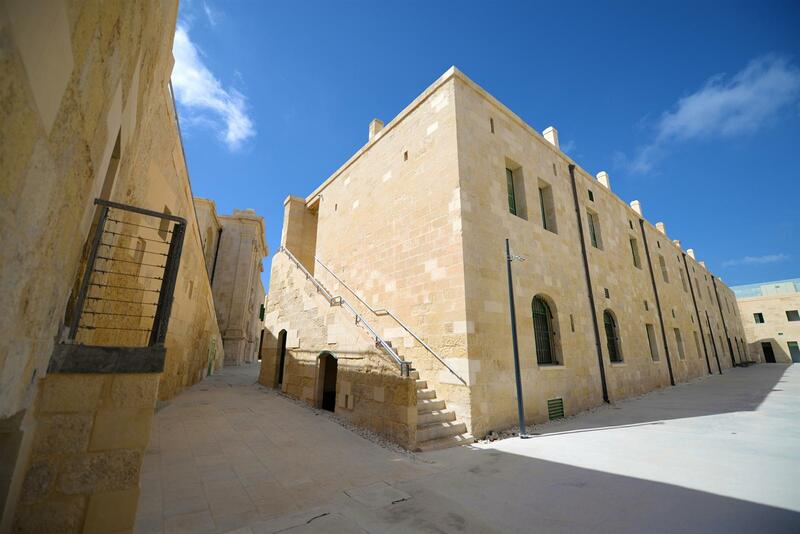 Historic buildings, structures and spaces have also been restored. 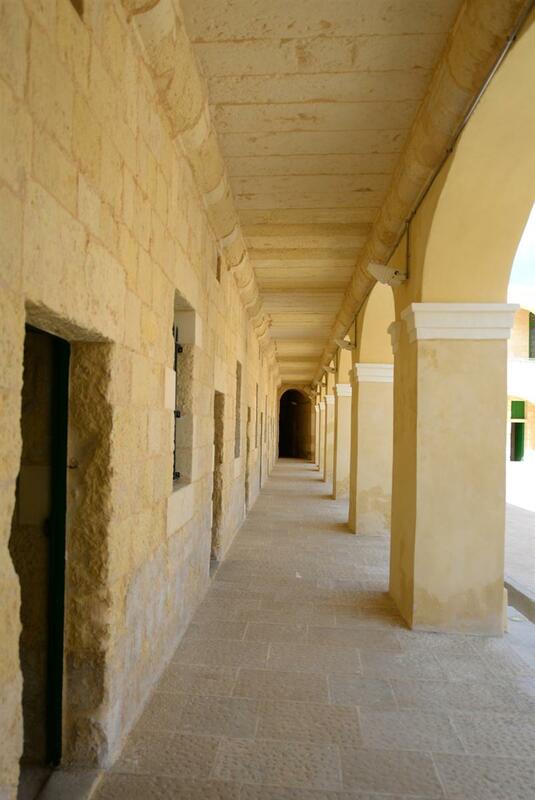 Intended achievements: • To restore and bring back to life historic buildings and structures and to do so in a manner which is financially sustainable. 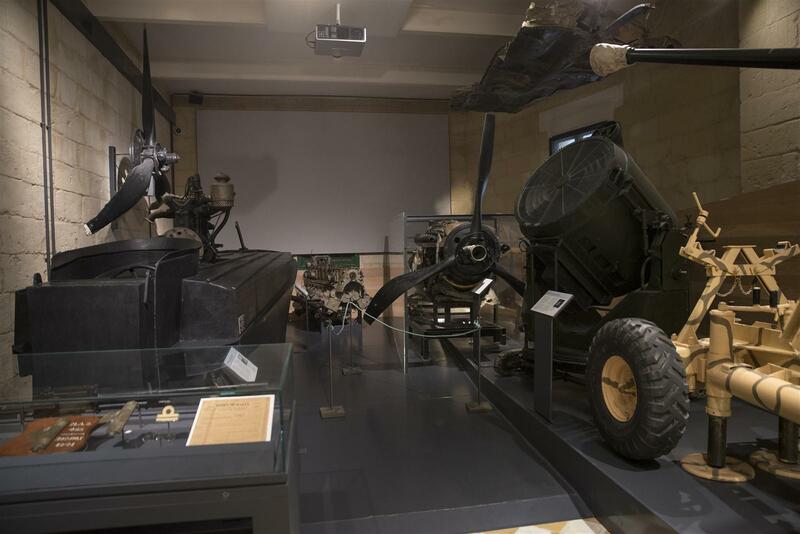 • To convert what was previously a war machine into a machine for tourism, leisure, education and the appreciation of heritage. 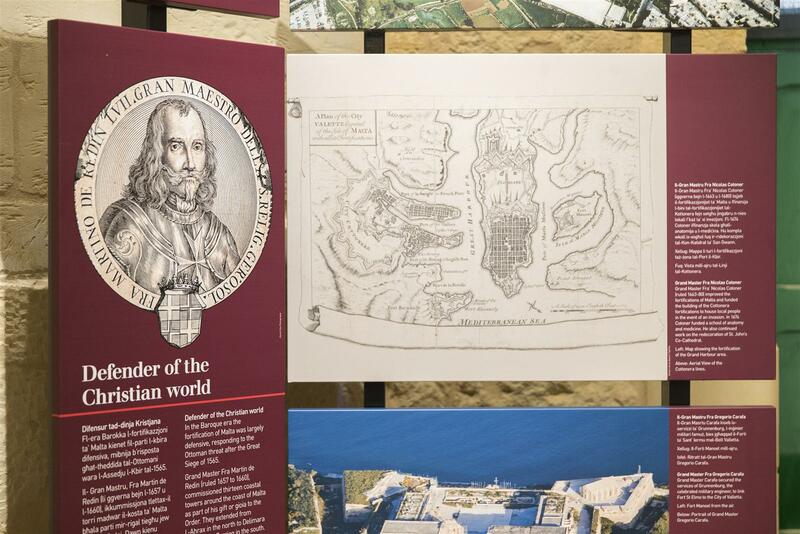 • To create two outstanding visitor attractions namely a museum and a ramparts walk Endowment to country It is envisaged that these achievements will enhance Malta’s attractiveness as a tourism destination and provide added value to the visitor experience, primarily because the experience provided by Museum and the Walk are authentic in that it will be based on the actual artefacts (i.e. 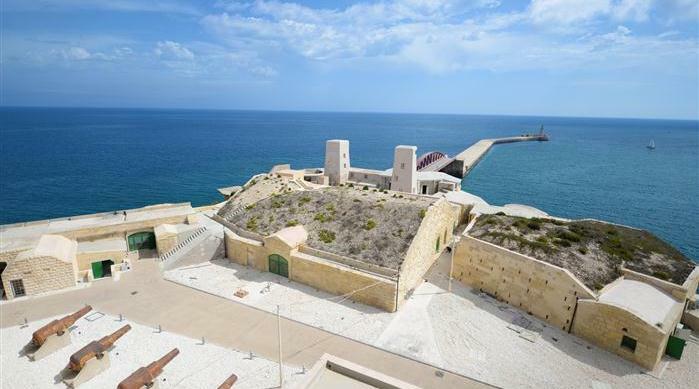 fort, barracks, pillboxes, gun emplacements etc.). 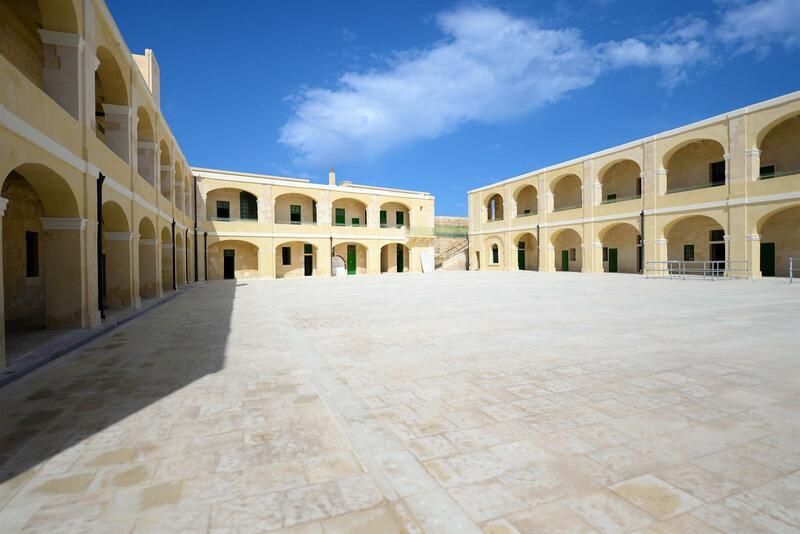 The project will help realise the full cultural and tourism potential of the site. 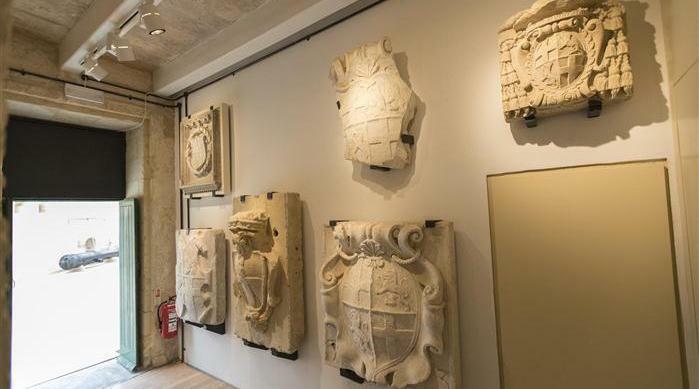 Potential bottlenecks or other problems• Delays or cost variations may result if during works, there is a find of historic or archaeological importance. 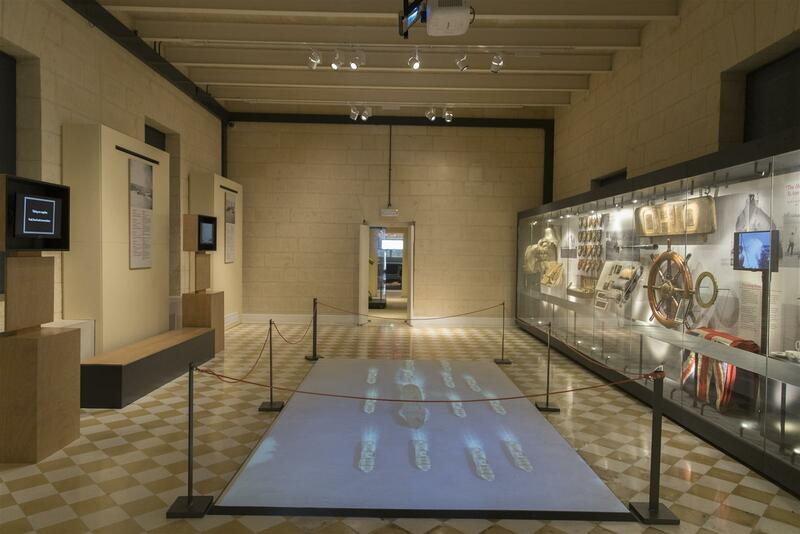 Whereas new information resulting from new finds will be welcome, the additional time and effort that will be required to fully investigate such finds could disrupt cost and timeframes projections. 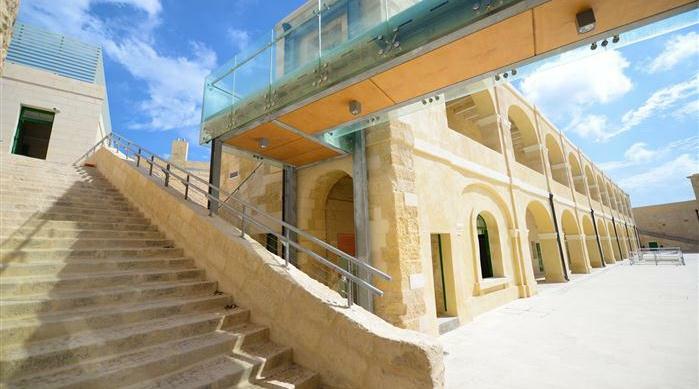 Existing historic buildings which are currently unused or underutilized will be brought into a viable tourism/cultural use. 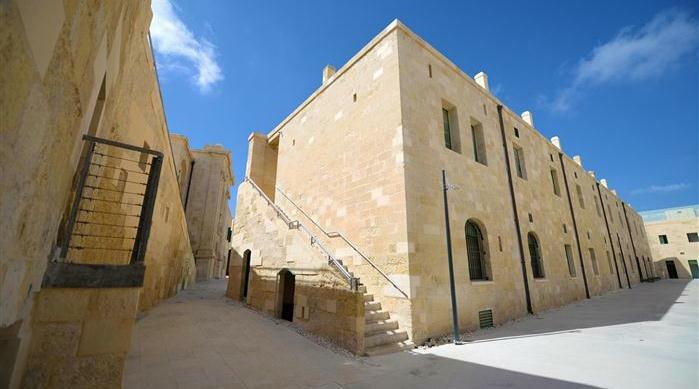 Buildings currently in use (as a police academy or offices) will be changed to a tourism/cultural use, with the current uses being relocated elsewhere. 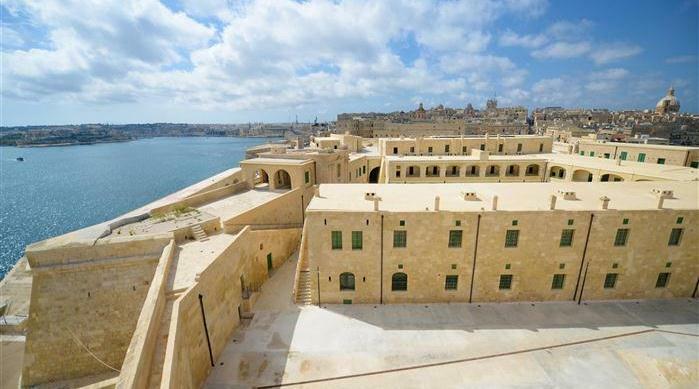 The following are the areas within existing historic buildings which will be made use of for tourism, culture and related activities. 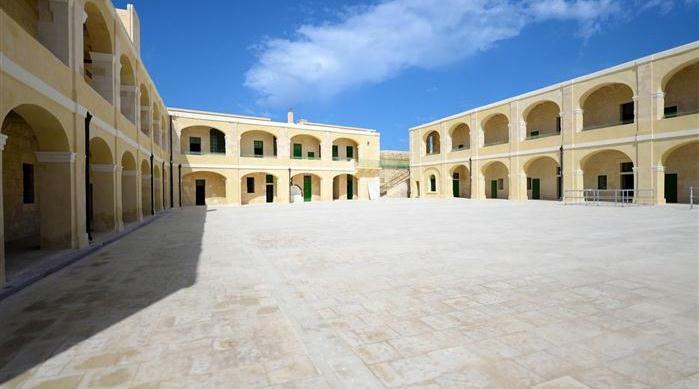 In addition, 490sq.m. 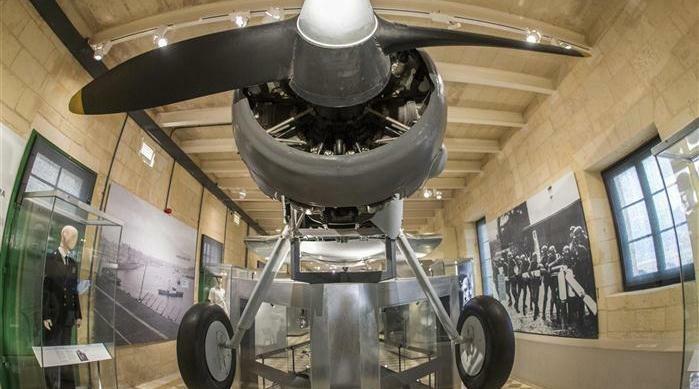 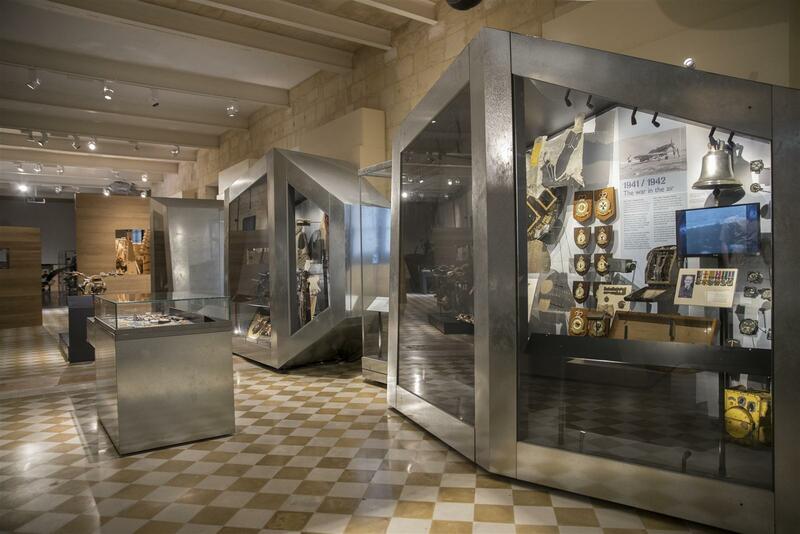 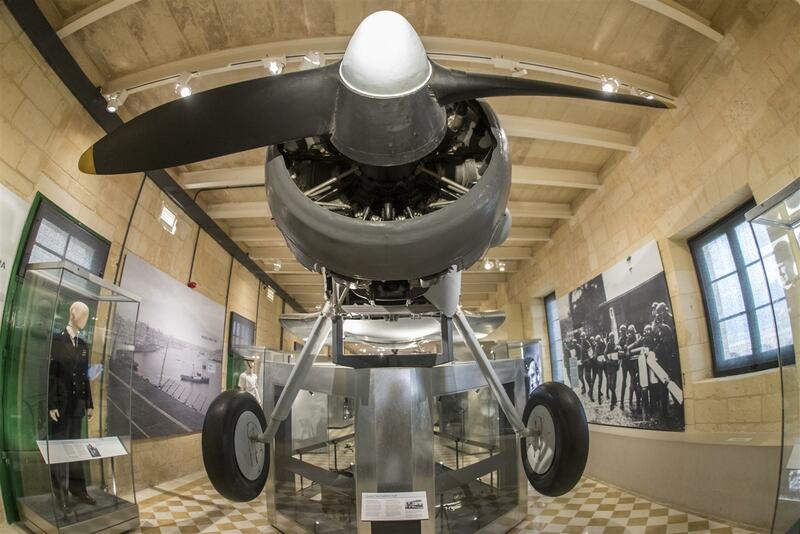 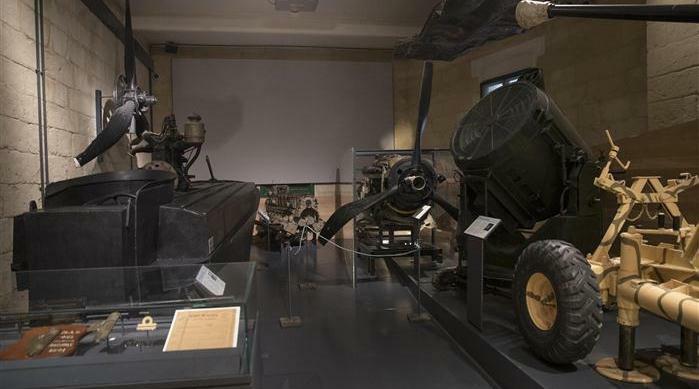 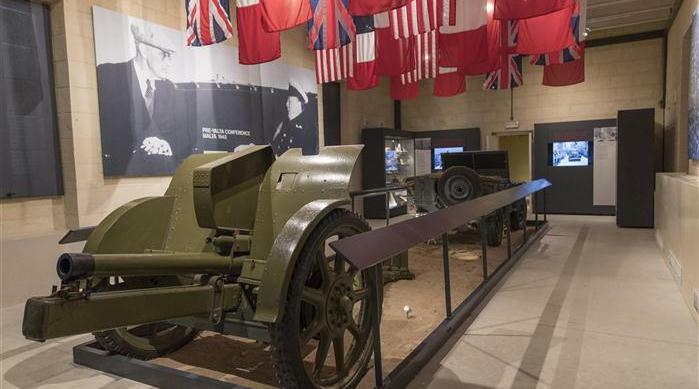 display area within the Vendome Battery will remain in use as a display area but will be changed from being the War Museum to the Story of Valletta Museum. 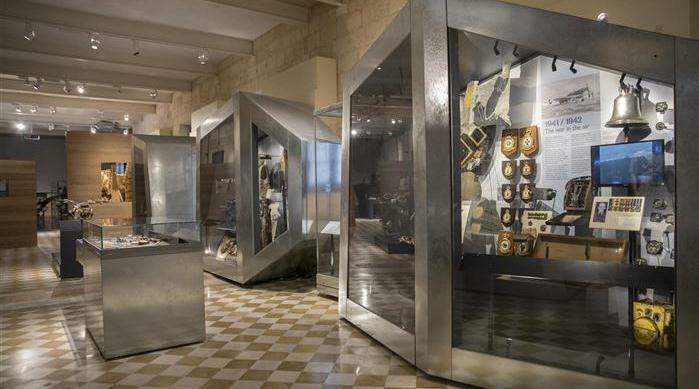 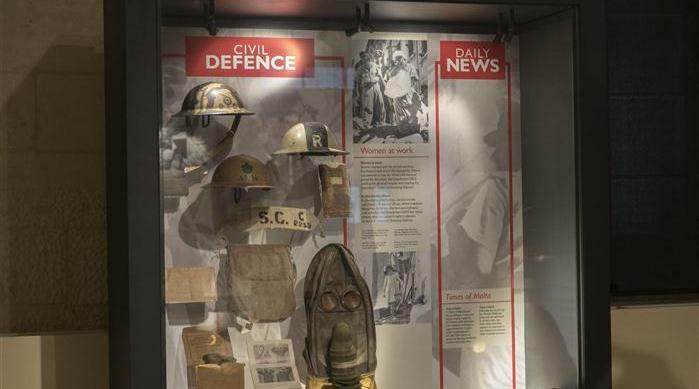 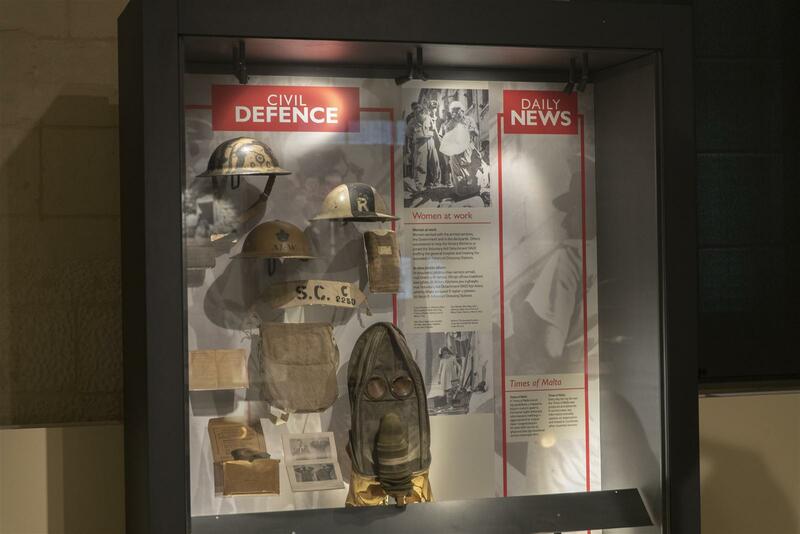 (current War Museum artifacts will be relocated and moved into the Military History Museum within the Fort and Enceinte). 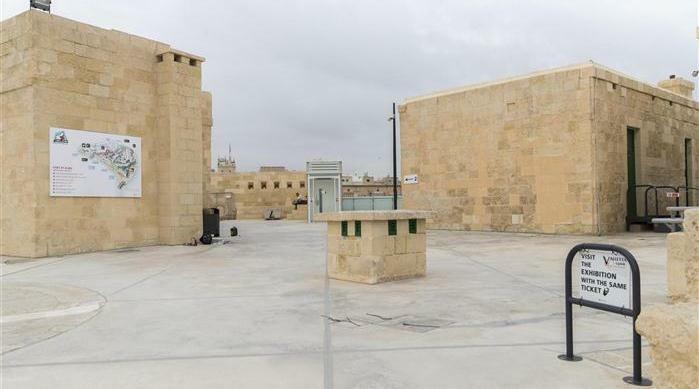 An area of 8,180 sq.m., which is currently inaccessible to tourists and the general public, will be made fully accessible without charge. 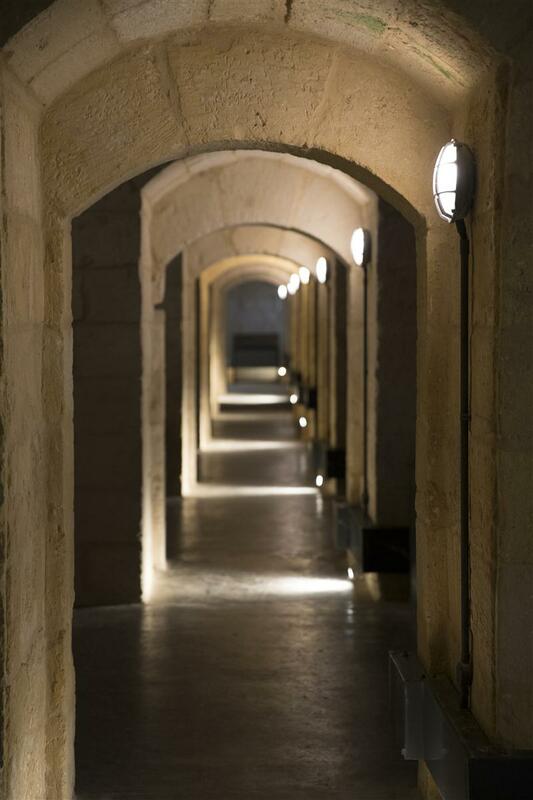 This will be the Ramparts Walk which will be along the entire length of the Carafa Enceinte. 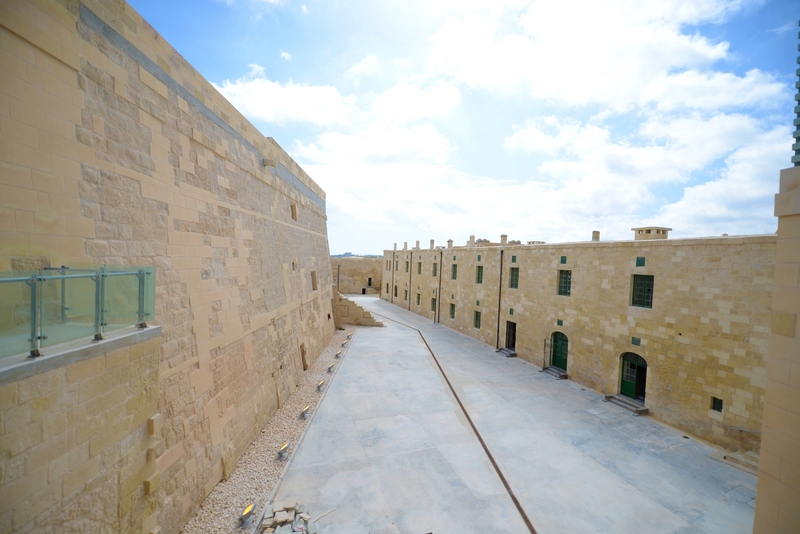 The new length of walk (or promenade) which will be provided will be 670 metres. 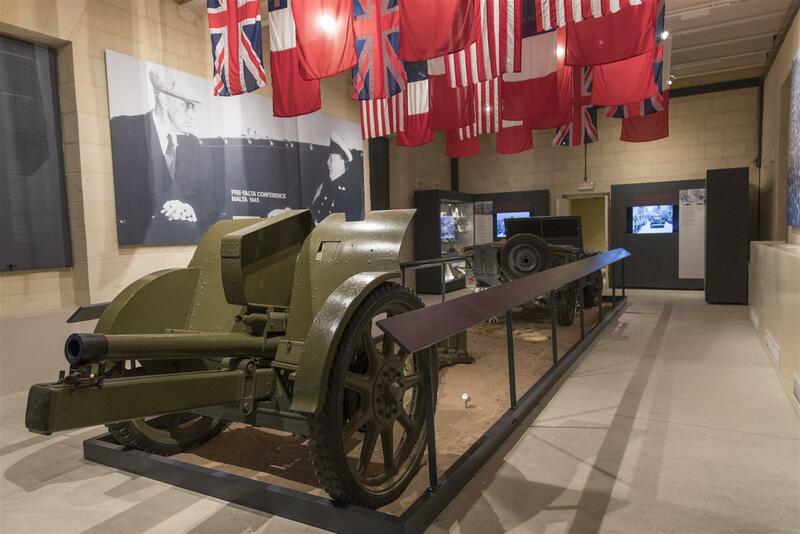 (The length of walk given is from point of entry near MCC to point of entry near Vendome Battery (current War Museum). 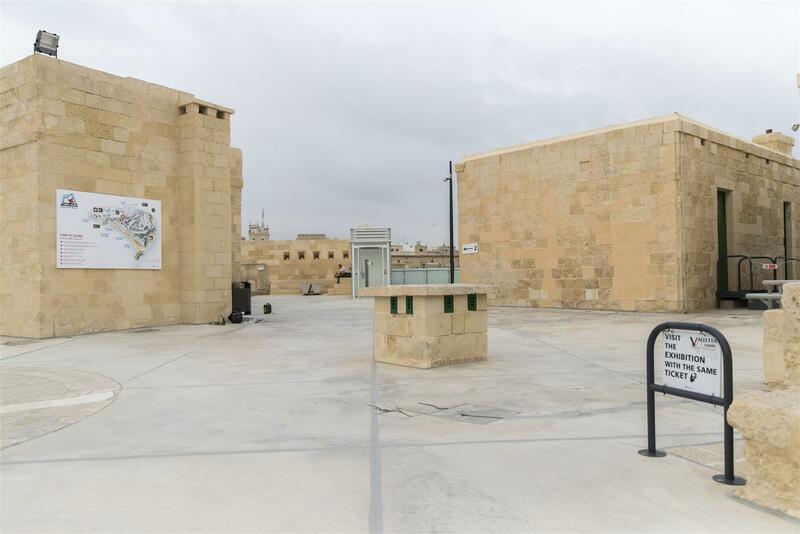 The Walk will be a safe and comfortable urban space with open sea views and free of the intrusion and pollution of vehicles – a space which is currently NOT accessible to tourists and the general public. 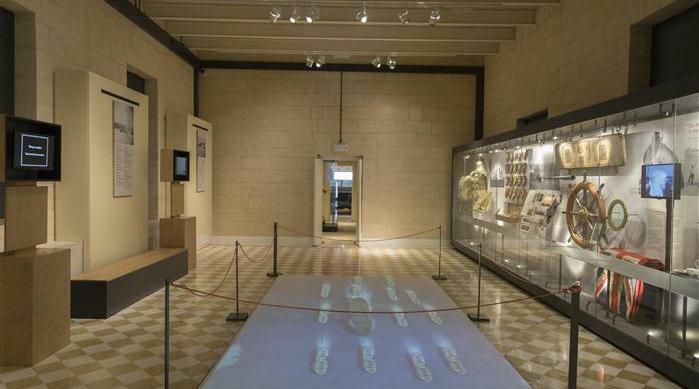 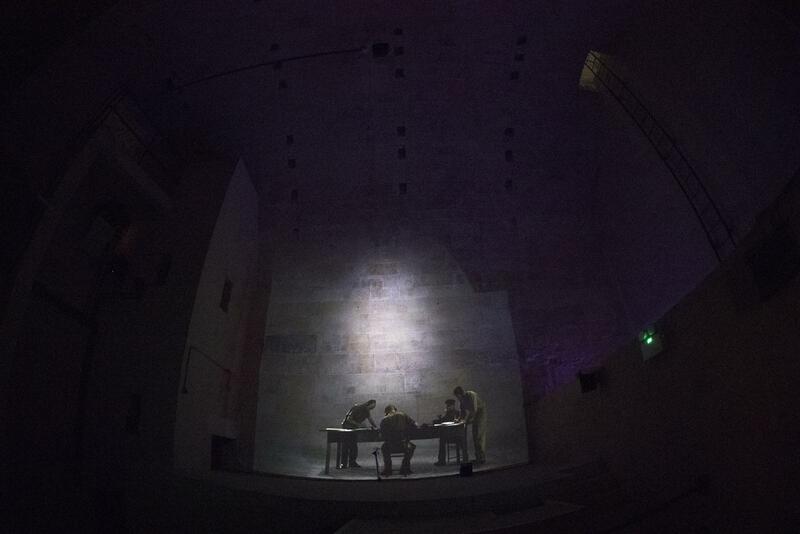 At the end of the first year of full operation of the Museums and Ramparts Walk (i.e. 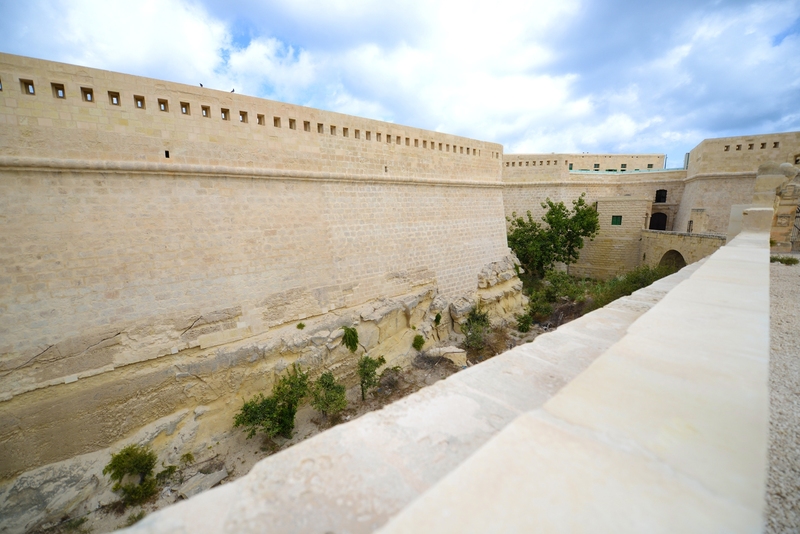 2015) , the number of tourists who visit the lower end of Valletta is estimated to increase by 10% compared to today. 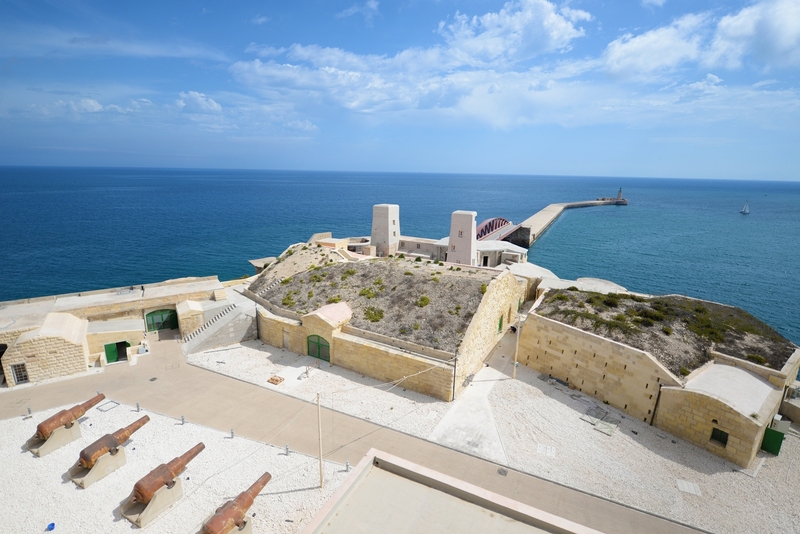 As at to date it is difficult to say the exact amount of tourists visiting the area because no statistic was carried out. 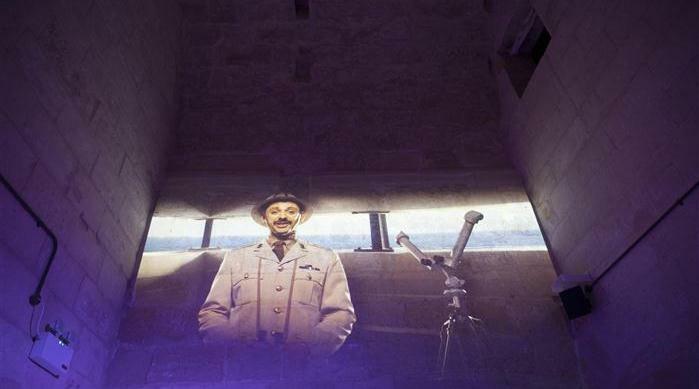 Hence in order to establish these results, tourist surveys will be carried out as follows:• October/November 2012 to establish the baseline. 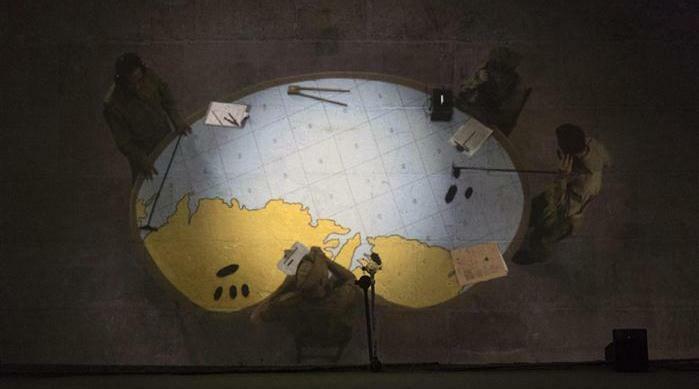 • October/ November 2015 to establish whether the projected increased percentages have been achieved. 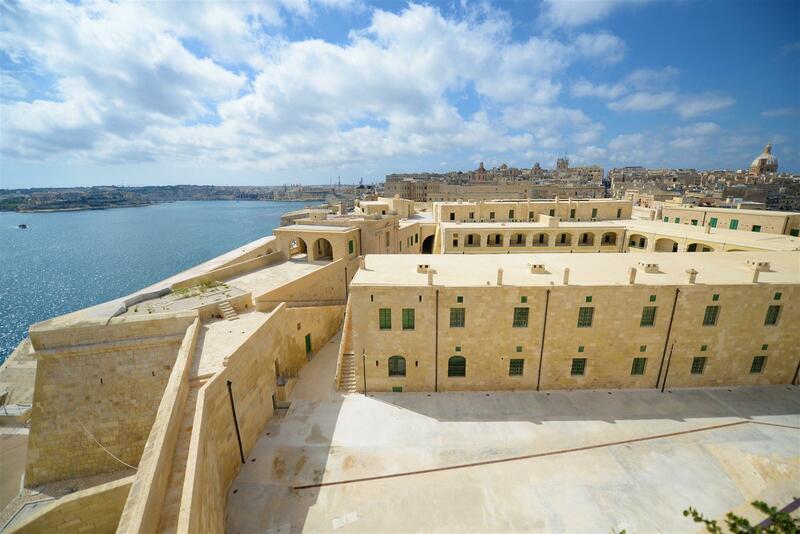 It is envisaged that for survey purposes ‘lower Valletta’ is the area of Valletta beyond St. George’s Square. 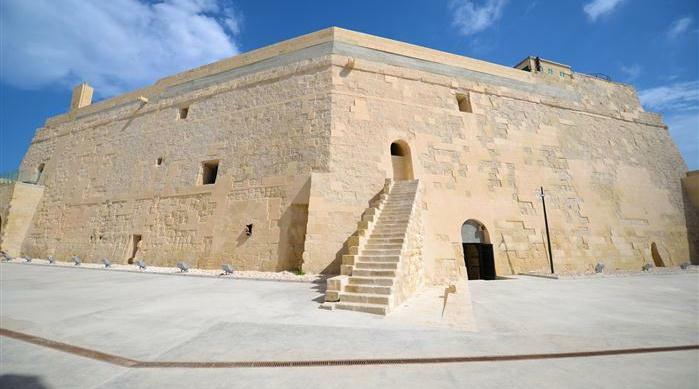 It includes War Musuem, Fort St. Elmo Experience, MCC, Malta Experience, Siege Bell Memorial, Lower Baracca Gardens, Casa Rocca Piccola and the areas immediately adjoining them. 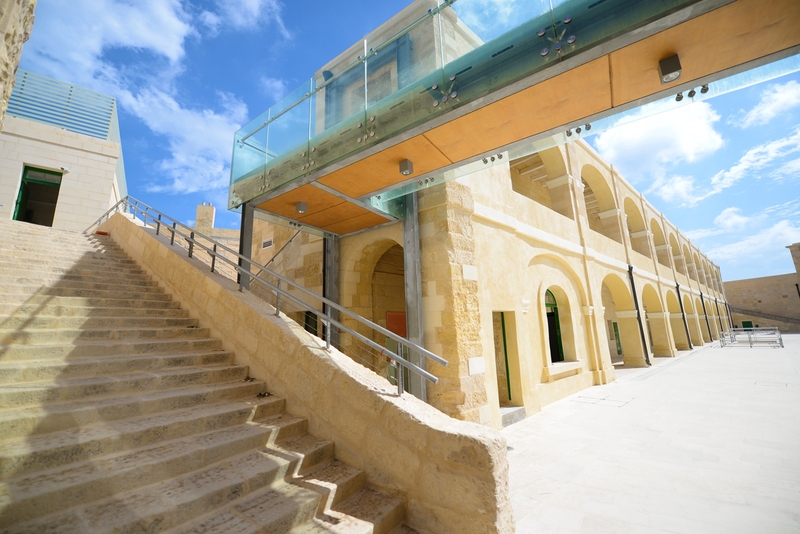 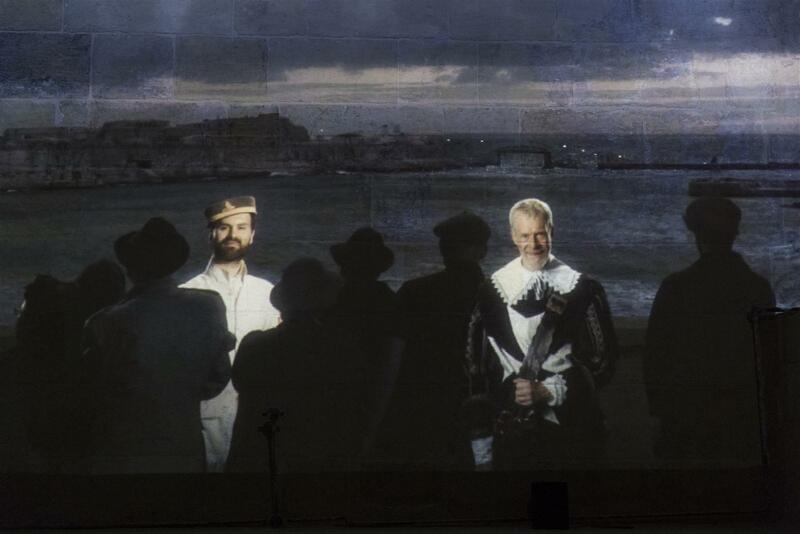 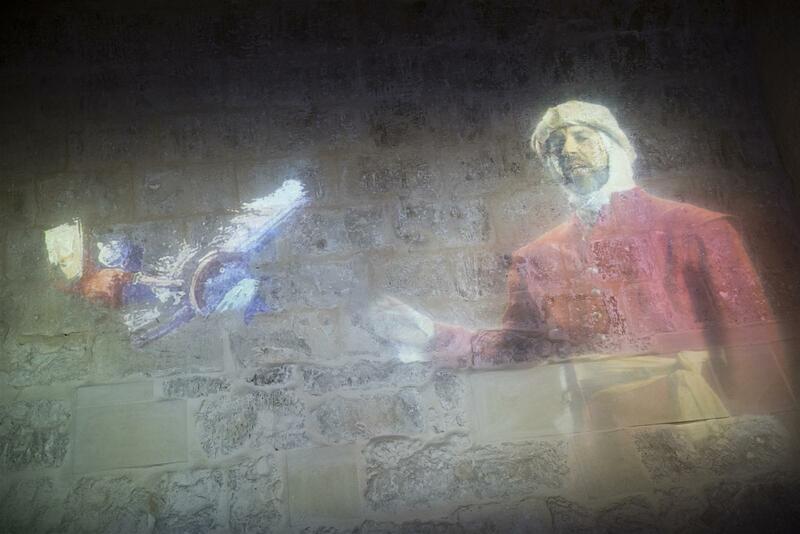 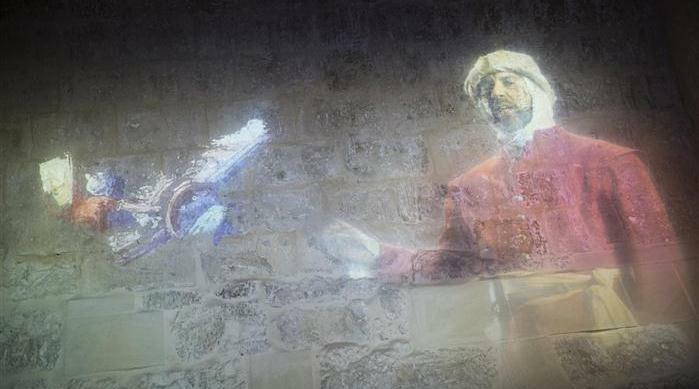 During the first year of full operation of the Museums and Ramparts Walk (i.e. 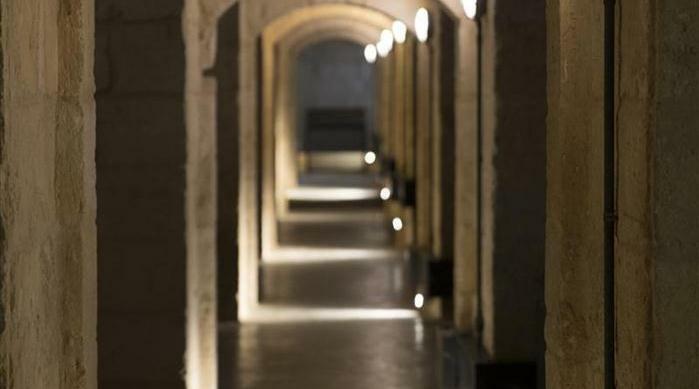 2015) , a total of 150,000 people will have walked along part or all the Enceinte. 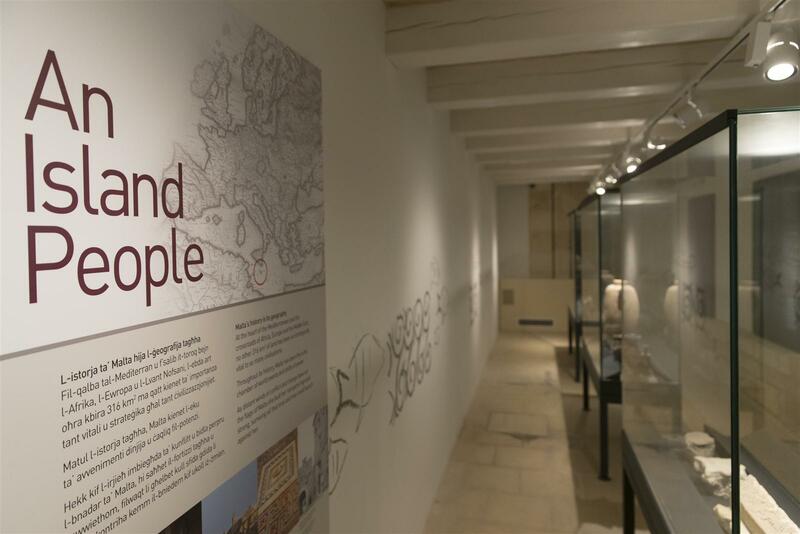 (This refers to people who make use of the site without payment and therefore excludes persons who paid to enter the Musuems.) 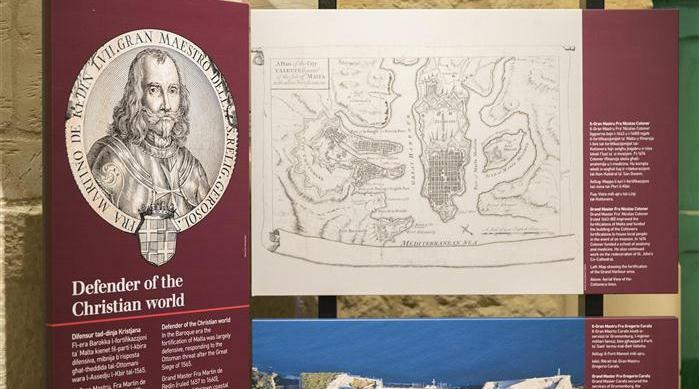 The computation is derived as follows; for the months June to September, there will be a relatively high number of tourists exploring the area of lower Valletta, partly because of increased tourists’ arrivals to Malta during this period and partly because of the increased number of visits by cruise ships. 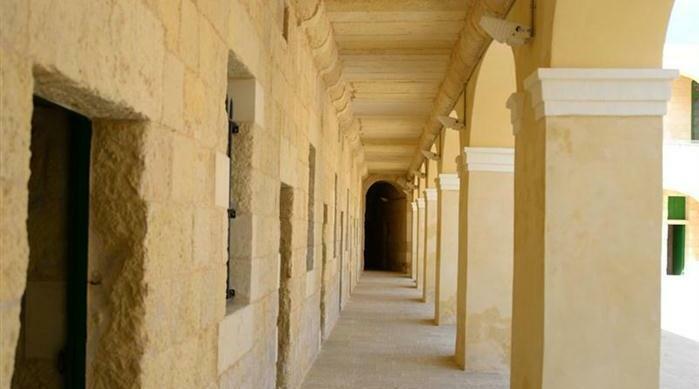 There will also be more residents of Valletta and other parts of Malta who will visit gardens and public spaces during the evenings in the summer. 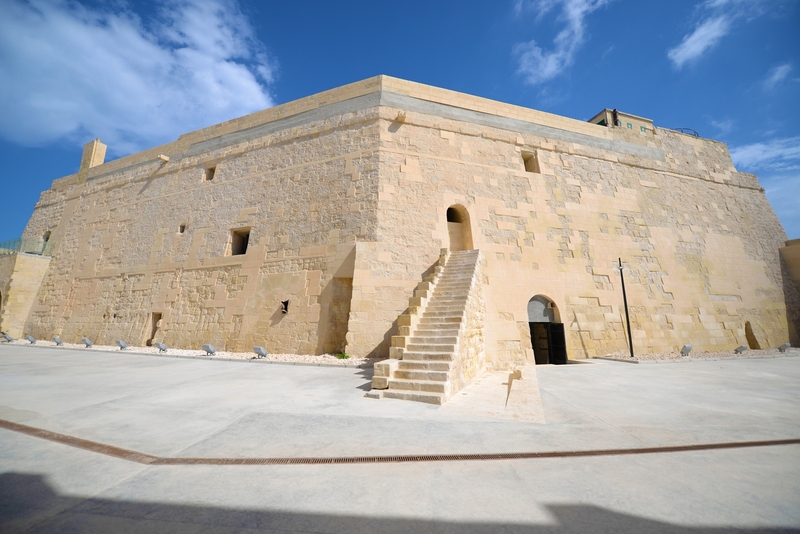 Hence, for 125 days it is assumed that an average of 600 persons per day will enter the Enceinte (75,000 persons) and for the remaining 240 days (October to May) an average of 313 persons per day will enter the Enceinte (75,120 persons).In order to calculate this result, pedestrian counts will be held at the entrance pointsof the Fort. 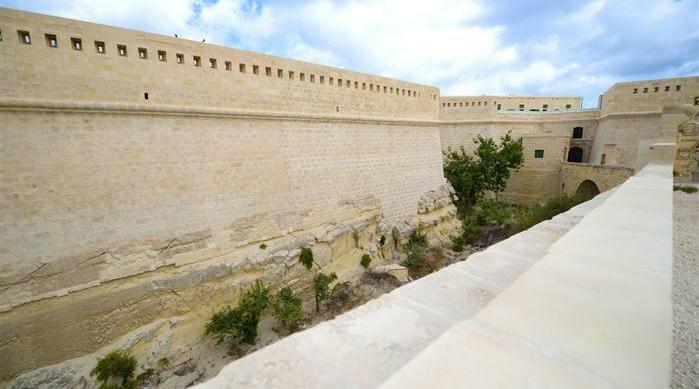 Paying visitors will be deducted to obtain number of persons who walk along the Ramparts Walk but not have entered the Museum.